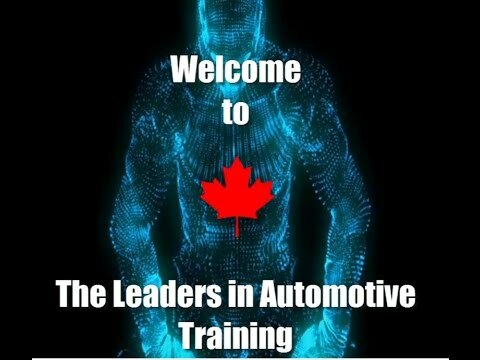 Automotive Training Centres (ATC) offers courses and programs that are designed to give students the skills they need to become the best car experts out there. With full-time, part-time and online study options ranging from mechanics to sales, car-lovers can choose which career program suits them best. 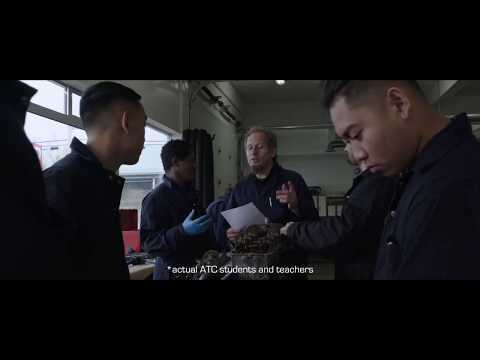 When you choose the Automotive Training Centre for career-specific education, you’re joining the ranks of thousands of other Canadian success stories. For more than 2 decades individuals just like you have started their professional careers equipped with the confidence, skills and hands-on knowledge provided by our high quality experienced caring staff. The Automotive Training Centre has been helping adults transform their lives through professional technical training for more than 25 years offering a wide variety of professional automotive programs. I am a recent graduate of ATC and successfully completed the Automotive Service Technician program. Alongside theory, and practical was an interactive online program with animation that helped understand the concepts of engine, brakes, tires and rims etc... Through ATC I was able to take a step into the Automotive Industry. Now I am currently working at Maple Toyota. I enjoyed my time here at ATC. I learned a lot of good information from a lot of good people. The staff here is great and they really care about your craft. I find that that's the greatest way to go. Hi my name is Darcy Munshaw and I'm a newly employed graduate of ATC. When I first came to this program (Automotive Service Operations Specialist) I was lost and confused and wondered what I was doing. With the encouragement and direction of all the fantastic staff at ATC, I now have a valuable position in a renowned collision shop and I highly recommend this program to everyone, even if you only have an inkling about doing anything they offer. Dean Woloshen I had a great experience at ATC. The instructors were very experienced and excited to be passing on their knowledge to others. What I learnt at ATC helped me open up my own shop where I now have students doing their practicum. Having the ATC course under your belt really gives you an edge. Anyone interested in the automotive or auto body should sign up with ATC. I wanted to try this before; I actually had an ATC flyer and was looking into it. I had a secure job that paid well with union benefits. I got laid off with all the cutbacks that were happening. So I thought ok well I always wanted to try this so this was the time and I've loved ever since. I started with Automotive Training Centres on Sept 28, 2015. The staff exhibits extreme efforts to help students and are very friendly. The course I’m taking is taught by Ernest Mashingaidze. He is very informative and willing to answer any questions. There are no bad questions. I feel that this course will prepare me for a number of jobs in the field. I would highly recommend this school to anyone. Learning at the Automotive Training Centre was a great experience...Through the college I acquired the skills and knowledge to get started in the trade. My instructor Doug is amazing at teaching, and helped me build confidence in myself. It was the second career of my life and I love it! I am now employed by Scarborough Toyota and proud to say that I am an apprentice there... Thank you Automotive Training Centre! ATC’s industry partners play a key role in ensuring our students develop the knowledge and skills needed for success in their automotive careers. From preparing students with the latest training technologies, to guiding their mastery of essential computer programs, ATC’s marketplace connections help students excel both in the classroom and on the job. Autadex is a world leader in insurance claims processing, committed to improving transparency and providing exceptional customer service. During their training, ATC students will become comfortable with the Autadex software, learning how to streamline claims, run a more profitable auto body shop, simplify parts purchasing, and reach qualified buyers more easily. ATC’s partnership with Electude ensures students have access to the latest in e-learning technology. Using 3D gaming and simulation software, students learn in-demand skills in effective and engaging ways. 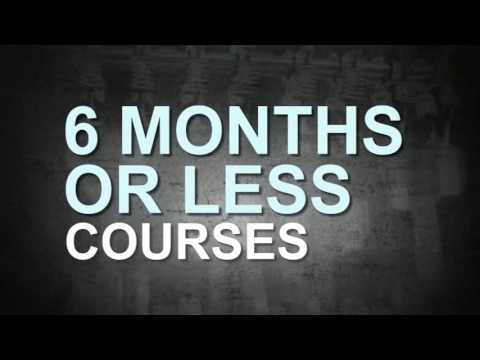 Electude is the world’s leading automotive e-learning company. J.J. Keller & Associates, Inc. help businesses ensure compliance with constantly evolving industry regulations. From trucking and transportation to the automotive body shop, J.J. Keller & Associates, Inc. provide essential guidance and software management solutions for automotive professionals. Begin your career, not just a job!